This project is supported by a regional intergovernmental organization: The Intergovernmental Authority on Development (IGAD). IGAD includes the following states members: Djibouti, Ethiopia, Kenya, Somalia, South Sudan, Sudan and Uganda. Its headquarters are located in Djibouti. The IGAD mission is to assist and complement the efforts of the Member States to achieve, through increased cooperation: food security and environmental protection, promotion and maintenance of peace and security and humanitarian affairs and economic cooperation and integration. 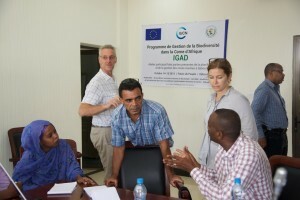 The Cousteau team participates to the “Lower Awash-Lake Abbé land and Gulf of Tadjoura seascape project”. 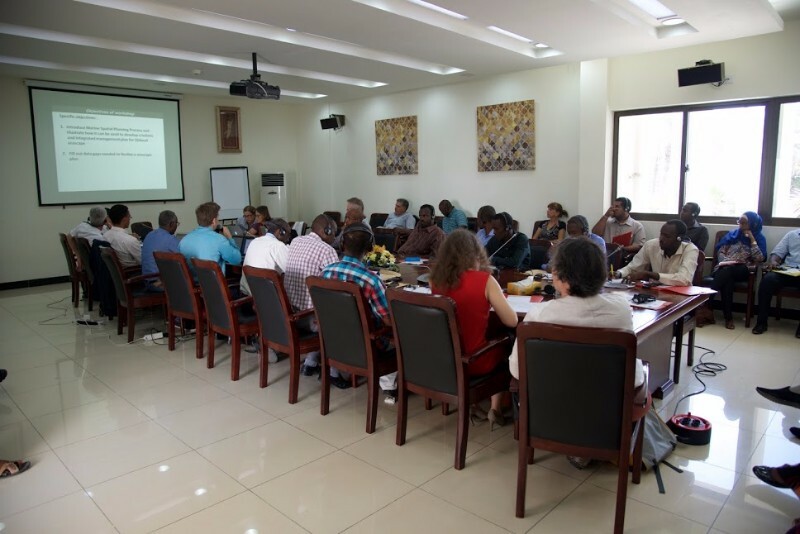 This three-year project concerns one of three demonstration sites chosen by IGAD to showcase the best practices in natural resources management and to improve ecosystem goods and services for the benefit of local communities. 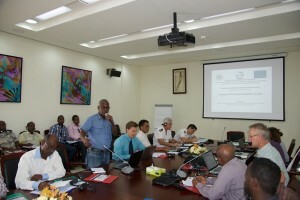 The workshop was well attended by representatives from most of the key ministries concerned with the seascape, as well as the navy, coast guard, the tourism sector, NGOs, local community representatives and members of the research community. 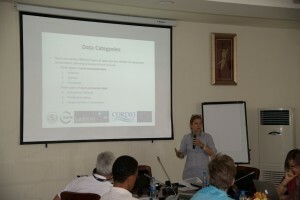 The workshop consisted of a series of technical presentations followed by group work. All sessions were simultaneously translated (French-English & English-French). Djibouti is located in the horn of Africa at the southern entrance of the Red Sea, near the Strait of Bab El Mandeb. Because of the position of the Strait, and its ecological transition zone between the Red Sea and the Indian Ocean, Djibouti is unique and of a great biological value. There is transition of habitat, from the mainland to the “7 Frères archipelago”, ranging from sand to hard coral covers, including important and productive areas such as mangroves. 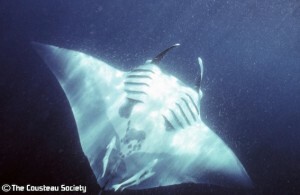 One of the most outstanding feature of Djibouti is the seasonal aggregation of marine megafauna such as whale sharks (Rhincodon typus) and manta rays (Manta birostris).